Raven's Home is a 30 minute scripted family television series, which kicked off on July 21, 2017, on DisneyNOW and is broadcast every Thursday at 03:00. The show is currently in its 3th season. DisneyNOW has officially confirmed the renewal of Raven's Home for Season 4. The exact release date is yet to be announced so far. Sign up to track it down. 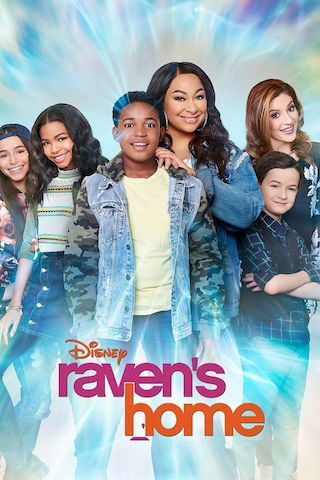 Raven's Home picks up with longtime best friends Raven and Chelsea, who are now each divorced with kids of their own, raising their children Raven's 11-year-old twins Booker and Nia, and Chelsea's 9-year-old son Levi under one roof, in a chaotic but fun household that often includes the twin's best friend and neighbor Tess. Unbeknownst to her kids, Raven still catches glimpses of the future, and unbeknownst to her, Booker has just learned he has these same abilities. Hilarity ensues as Raven and Booker's visions collide, but no matter the situation, they figure everything out together as one big happy family. Accomplished writer/producer Eunetta T. Boone has joined Disney Channel's hit sitcom "Raven's Home" as executive producer and showrunner for its third season. Production for season three is underway and will premiere in 2019. In its second season, "Raven's Home" is Disney Channel's #2 series in Total Viewers, Tweens 9-14 and Kids 6-14, behind only "Andi Mack." For its second season alone, "Raven's Home" has generated nearly 35.0 million views across all social and digital viewing platforms, including 18.8 million total video views on social media and 15.6 million views on VOD.